Pasta is rarely associated with Gluten Free food and although more gluten free pasta options are becoming available for consumption, in the past gluten free pasta has had some pretty bad associations with flavourless cardboard! At Tommy Sugo, we are passionate about changing this concept. As a result we offer lots of gluten free pastas, sauces and meals. Hello my name is Nathan and I started Tommy Sugo in 2014. Prior to Tommy Sugo being created, I worked as a naturopath helping people deal with the likes of celiac disease and gluten and wheat allergies and sensitivities. Back in the day when I was in my naturopathic practice, choices of good flavoursome foods…particularly pasta were considerably limited. Now it’s a different story, which is good because food allergies are massively on the rise. 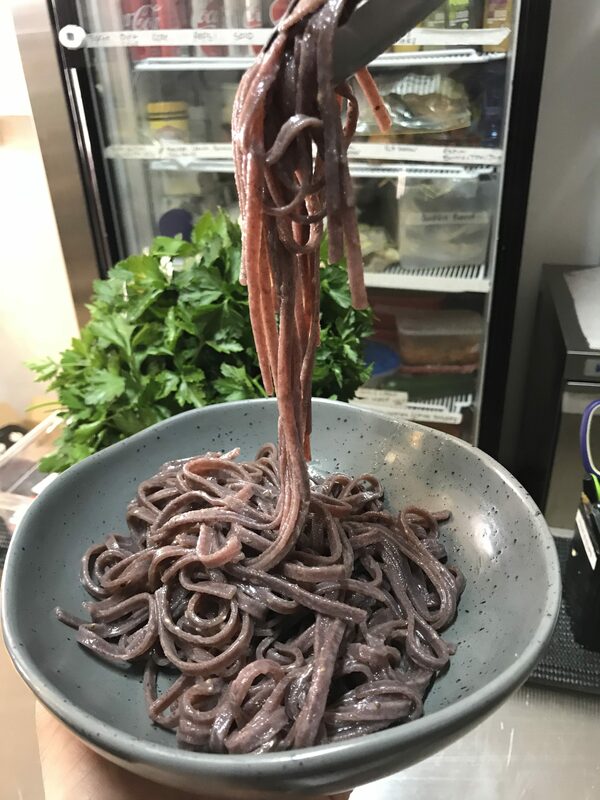 So it’s been a passion of mine to create a menu at Tommy Sugo of gluten free pasta that offer our customers choice, have great texture and taste amazing…even for consumers without sensitivities to enjoy. Gluten sensitivities and allergies need to be treated with care, sensitivity and knowledge. Cross contamination and knowledge of gluten segregation within the production kitchen are an absolute must when it comes to gluten free pasta production. 2) All food production equipment is thoroughly and meticulously clean at the end of every day – we are absolutely pedantic about this! 3) In our commercial pasta production kitchen, we follow strict HAASP regulations, which govern health and safety within the kitchen. These are best practice methods and have strictly enforced regulations that ensure some of the highest health standards in the word in the food industry. 4) All Tommy Sugo procedures are based around knowledge related to minimising gluten cross contamination within the kitchen. As we make both traditional and gluten free pasta, we follow strict procedures related to using only gluten free cooking implements for gluten free production and cooking. 5) Pasta is cooked completely separately from our other standard gluten pastas, further limiting exposure to gluten (ensure you request this when ordering). With our passion for providing great gluten free pasta, sauces and meals, we educate our staff and strive to minimise any gluten reactivity and hopefully providing knowledge that you can finally grab a pasta dine in or take away with the assurance we are doing our best to minimise reactivity. Naturally we are also realistic and aware that in a kitchen of other gluten pastas the likes of gluten in the air can also be a possibility so although we can not guarantee 100% gluten free, we will always take 110% care to ensure we minimise chances of gluten cross contamination. The results speak for them selves as we have now served over 10,000 gluten free meals with many very happy gluten free and celiac customers purchasing our meals repetitively. As many of our customers enjoy our gluten free pastas as a life style choice without having celiac disease, please be sure to request “gluten free cook separately” when ordering your gluten free meal. Gnocchi: made of rice, potato and corn flour. 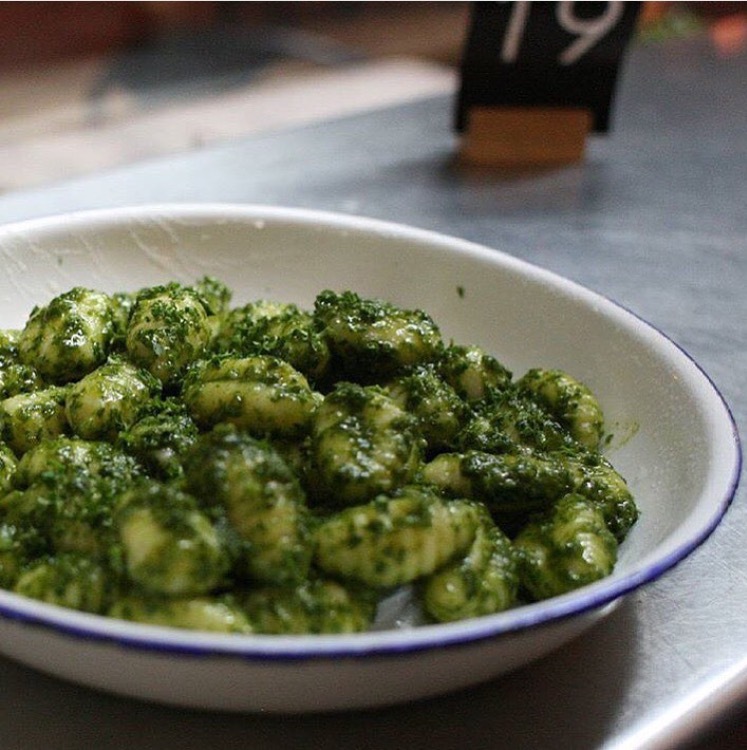 This is one of our best selling pastas, and we use our gluten free gnocchi as our standard gnocchi we use in our restaurants. Texture is soft and fluffy with a small amount of bite. Spaghetti Gluten FreeOrganic Chia & Black Rice: (coming soon) This is different and seriously yummy! Great texture, dark colour and tasts amazing! Its made out of organic black rice and organic chia. 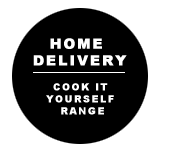 Goes well with all our sauce options. Zero Carb Gluten free Conjac Linguini: (coming soon) ok so this is for the adventurous among us. Super healthy, has no carbs…that is correct, this pasta has zero, zip, no, nothing in the carb count. It’s a little chewy in texture. Made from the Conjac plant root, which is a plant native to Asia. Combine it with one of our gluten free high protein sauces (like Tommy Sugo sauce with beef, chicken and tomato), and you have a meal great for weight control and gluten free. 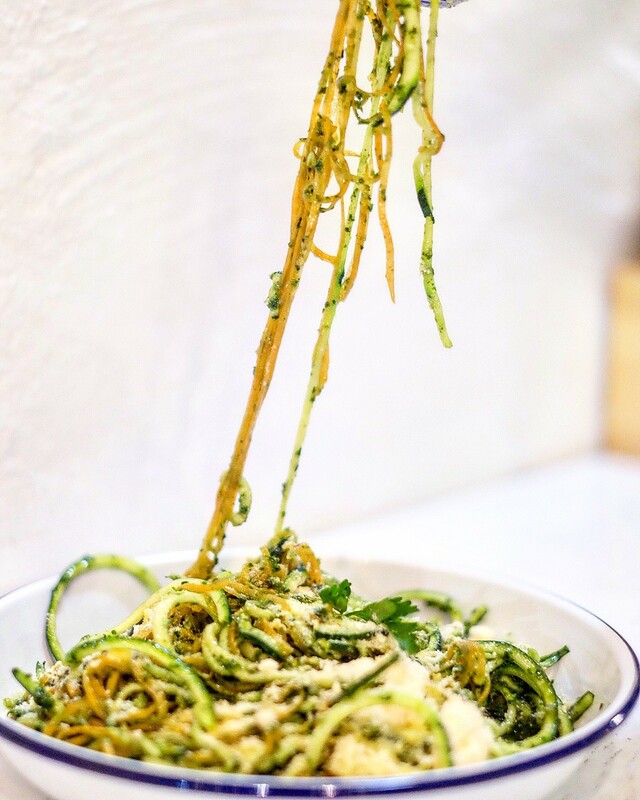 Low Carb Zucchini Spaghetti: this is our 100% zucchini that we spiralise and very lightly blanch. It’s basically raw, and then we add a hot sauce over the top. Very healthy. 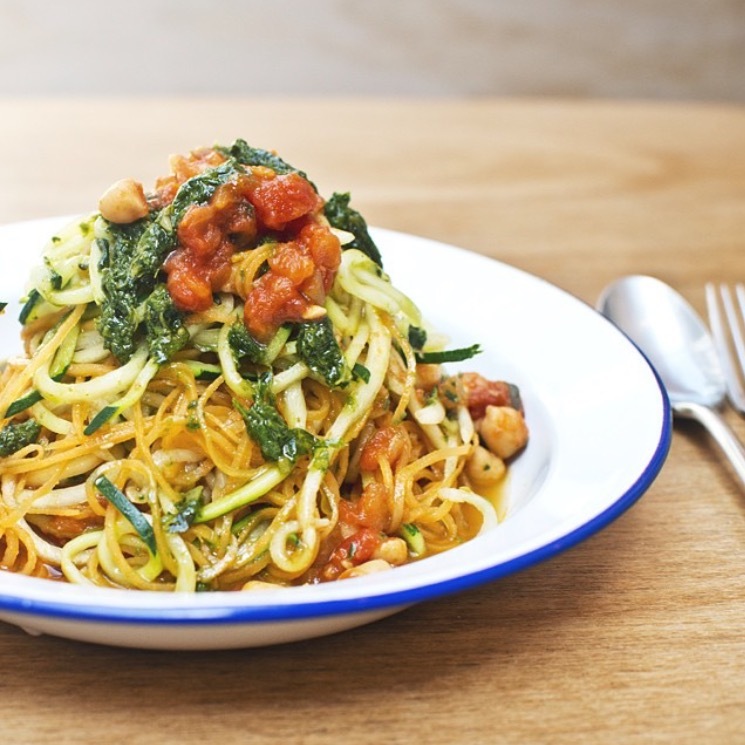 Looks like spaghetti, but is 100% zucchini. The Double Act: Also made for 100% spirlised zucchini & sweet potato. Tasty and a great healthy very low carb meal.